Air Niugini is unable to account for a man after earlier saying all 47 passengers and crew had evacuated safely. 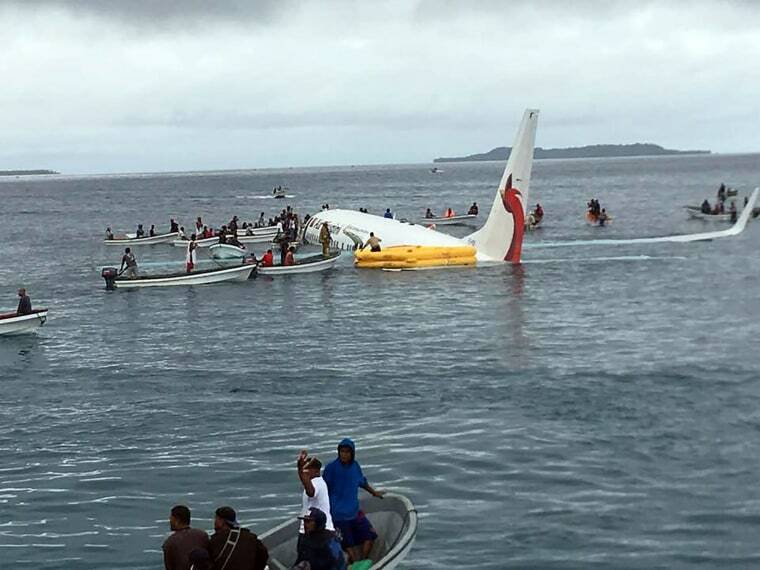 WELLINGTON, New Zealand — The airline operating a flight that crashed into a Pacific lagoon on Friday in Micronesia now says one man is missing, after earlier saying all 47 passengers and crew had safely evacuated the sinking plane. "I was really impressed with the locals who immediately started coming out in boats," Jaynes said in an interview with a missionary in Chuuk, Matthew Colson, that was posted online and shared with the AP. The U.S. Navy said sailors working nearby on improving a wharf also helped in the rescue by using an inflatable boat to shuttle people ashore before the plane sank in about 100 feet of water.